An A to Z guide to evolved states of consciousness. Between the Gates is a manual of self-initiation and liberation that takes the student through the basic methods of experiencing dream states and conscious astral projection, to the ultimate culmination of consciousness-- creation of the Body of Light. Between the Gates is for anyone who has ever desired to experience the "afterlife" while still alive, or who has desired to rid themselves of the fear of death. While drawing upon traditional Qabalistic and alchemical sources, the methods presented are applicable to a variety of traditions and schools of thought. 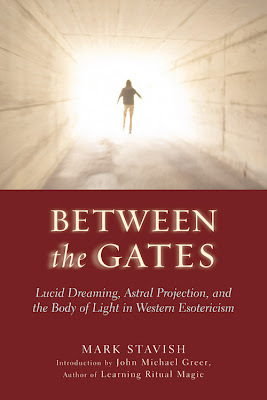 Between the Gates functions as an "A to Z" guide to psychic initiation toward higher consciousness, and ultimately, to preparation for the great transition beyond this life and this physical body. * Stavish is featured in Guy Ritchie's hotly anticipated documentary on the Qabala. * Features black and white illustrations to further guide the reader to a higher state of awareness.